Well, this is somewhat entertaining (probably because I don't use Peep - those of you who do probably find it a lot less funny). 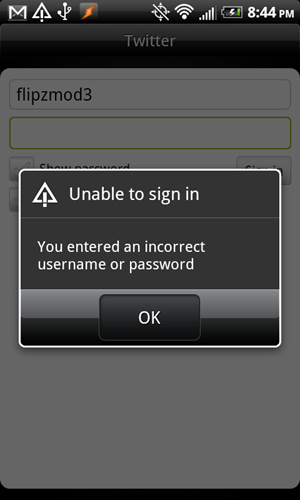 Twitter flipped the switch on an application login change on Monday, and as a result users can't login to Twitter through HTC Peep. It's a bit difficult to understand without going into more detail, so without further ado, more detail. In order for Twitter applications to access your account, developers have been able to choose one of two authentication methods: Basic Authentication or OAuth. Both require your permission, but there is an important difference. With Basic Auth, you provide your username and password for the app to access Twitter, and the application has to store and send this information over the Internet each time you use the app. With OAuth, this isn’t the case. Instead, you approve an application to access Twitter, and the application doesn’t store your password. Short version: OAuth is more secure, and has no real downside. 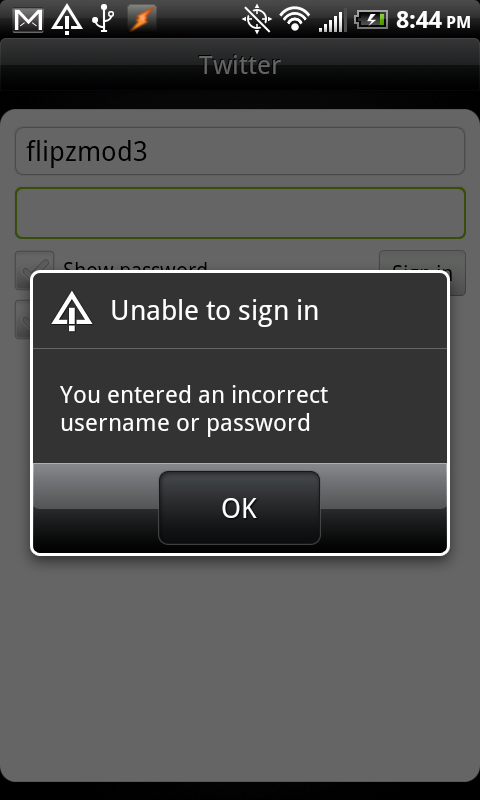 HTC Peep has been using Basic Authentication, and thus doesn't work anymore. Here's where things get a little entertaining: turns out that Twitter gave devs a heads-up way back in December. I'm not sure if anyone else forgot to switch to OAuth before the deadline, but I haven't heard of anyone else having problem - which makes this a huge fail for HTC. Not to get off-topic, but it's stupid stuff like this that makes Android seem a little less organized and gives Apple and the iPhone a little more fuel. In any case, I can't imagine it will take too long for an update to be rolled out - or until somebody hacks in a fix for it.